The last day for the lunch program is April 15. Goose Break (Cultural Break) April 18 to April 29. Kattawapiskak Elementary School The school was recently built and have been in use since the summer of 2014. The start up of the school was aided by Shannen Koostachin to help push the development of this school due to a lack of one, instead a series of "Make shift Portables" were used since 2000, when J.R.N. Elementary School was condemned and closed. The School has been named to Kattawapiskak after the community original name. Shannen worked tirelessly to try to convince the Federal government to give First Nations children a proper education before tragically passing away at the age of 15 years old in 2010. Named in her memory, the campaign engages Aboriginal and non-aboriginal peoples to better understand the education inequities and to take action to ensure all First Nations children and young people attend good schools and receive a proper education that prepares them to achieve their dreams and be proud of their distinct cultures and languages. KES is equipped with 4 computer labs, Grade 6 shares 1 lab, grade 7 shares 1 lab and grade 8 shares 1 lab with atleast 10 PC's each. There is a general computer lab upstairs in the main computer room with 19 PC's. KES also includes cafetaria (which can be an emergency shelter), science lab, music room, home economics, tech shop, multiple outdoor fields (soccer, hockey, baseball and track and field), gymnasium/stadium with a optional divider, gym equipment and the weight room for staff use only. The primary division of Kattawapiskak Elementary School is an energetic area of the school that is full of excited children ready to learn. Teachers develop engaging, exciting and detailed lessons for the students to enjoy. The primary division has the most consistent student attendance and therefore requires dedicated teachers that are committed to the students and their learning. Each classroom is fully equipped with Smart Boards, iPads, Laptops and plenty of resources to aid in student success. 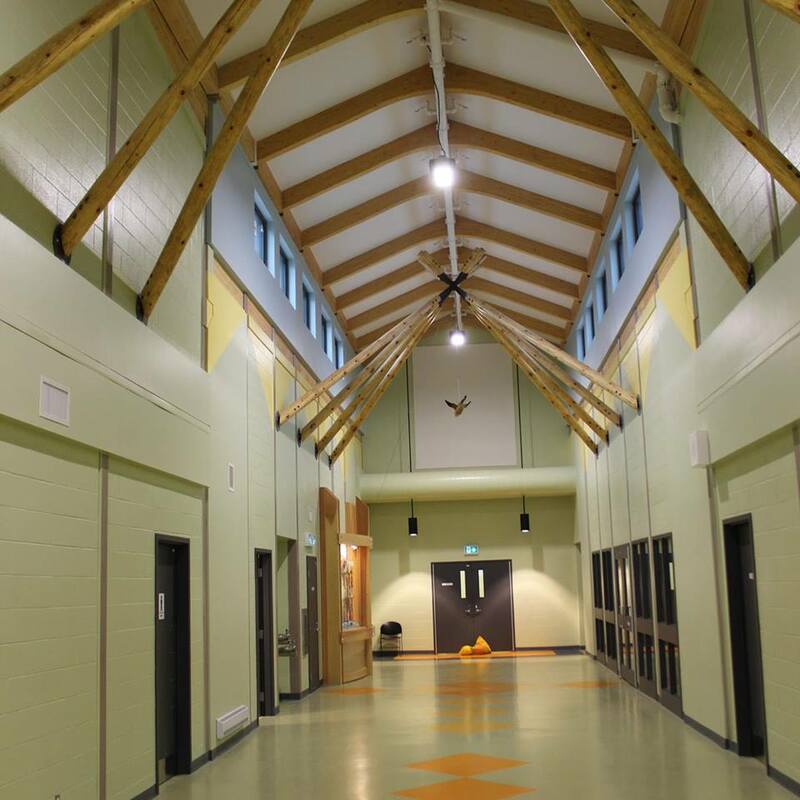 The classrooms are big, bright, warm and ready for the development of a nurturing and engaging environment. A great deal of focus in the primary area is put towards reaching literacy goals, such as increase in OWA scores and further developing Running Record levels. With the excellent attendance and the dedicated staff in the primary area all goals are certainly attainable.